These experts unanimously acknowledged that radiation therapy effectively cures many pediatric tumors. They also agreed that due to the highly radiosensitive nature of pediatric tissue, extreme caution must be taken to expose as little healthy tissue to radiation as possible. Children are more sensitive to radiation than adults both because they are still growing and maturing, and they have many decades to develop toxicities such as secondary cancers. The oncology leaders concluded that the unique ability of proton therapy to greatly reduce exposure of healthy tissue to unnecessary radiation makes it an obvious and excellent choice for treating pediatric cancers. Their summary publication states,“The group felt that proton therapy was a preferred indication for the majority of pediatric central nervous system tumors, as well as skull base tumors and retinoblastoma.”2 In addition to unanimously agreeing that proton therapy is the treatment of choice for a variety of tumors in the head and spine, the majority reported that protons are the treatment of choice for Ewing’s Sarcoma and pediatric Lymphoma. In support of their decision, they noted that proton therapy decreases the overall amount of radiation absorbed by the child’s body, as well as the radiation dose delivered to the sensitive normal organs in the immediate vicinity of the tumor compared with photon (X-ray) therapy. 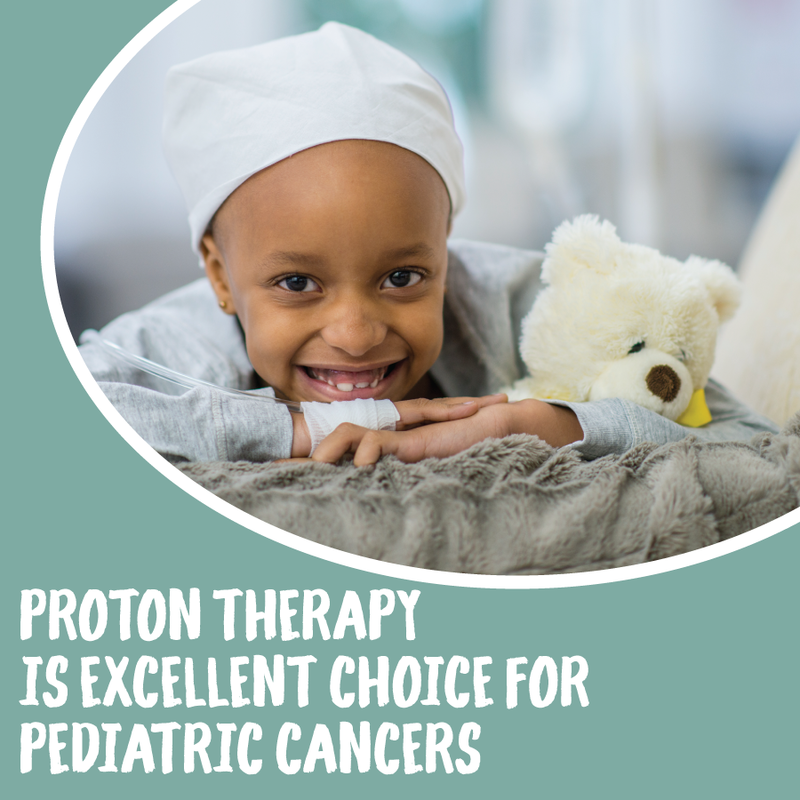 The group emphasized that each pediatric patient should be evaluated individually to assess the potential advantage of proton therapy for that patient. Barriers to patients receiving proton treatment were also discussed and participants agreed that finding ways to make the technology more widely available should be a long-term goal within the field. The published report from this gathering of leaders gives strong guidance as to which pediatric tumor types receive the greatest benefit from proton therapy treatment. Their consensus demonstrated the large role of proton therapy in the management of pediatric cancer. The group strongly urged physicians and payors to consider the unique elements which impact each patient’s case and to resist strictly following any set of guidelines leading to general exclusions.